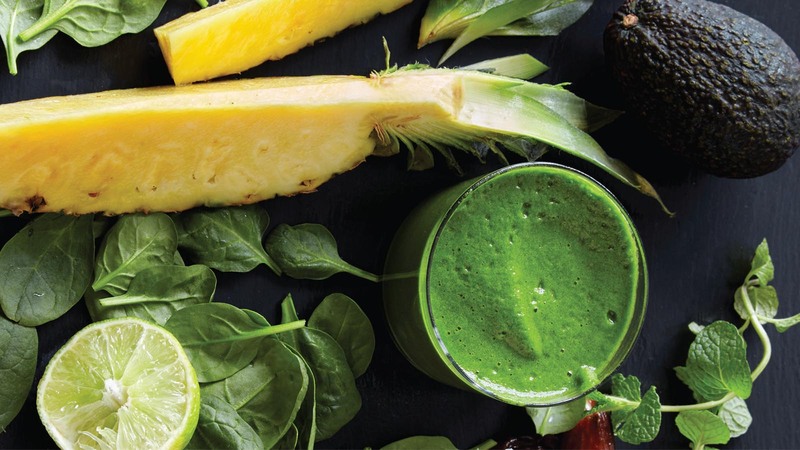 Get six of your daily dozen with this super quick smoothie. In a blender, combine all the ingredients and blend until completely smooth. Add ⅔ cup/160ml or more of water and ice (if using) and blend until smooth. Serve immediately. For a thinner texture, add a little more water, if desired. The How Not to Die Cookbook is a sustainable and delicious guide to preparing and eating the foods that will prevent and reverse fatal diseases. Sign up to the Bluebird newsletter and find out how to lead a happier, healthier, more delicious life.